India is the most vulnerable country to climate change. More than 700 million people in India, Bangladesh and Pakistan get there water from rivers that come from the Himalayan glaciers. That’s more than twice the population of the US getting its water from, at root, a singular source. These glaciers, like others in the world, are at risk of melting because of increasing temperatures and erratic weather patterns. Glaciers depend on heavy precipitation to replenish ice on an annual basis. As monsoons in India are disrupted, ice vanishes. As the glaciers melt, rivers flood. As rivers flood, people, crops and livestock drown and hydroelectric plants are disrupted. And the weaker monsoons mean less rainfall for the country as a whole, which means drought. Over time, of course, melting glaciers means less flowing water in general--so more drought. There are 198,000 glaciers in the world. India contains about 9,000 of them, but these glaciers are mostly unexplored. Other countries have invested far more in scientific expeditions than India. The lack of research prevents the country from fully understanding the state of its glaciers and the risk their loss poses. There was an expectation that India’s glaciers would hold up better than others because they rely on monsoons as opposed to snowfall. But this hope appears to have been misguided--ice is receding at an alarming rate on some crucial glaciers. This further compounds India’s already substantial exposure to climate change. In fact, India has been ranked the most vulnerable country to climate changeby risk analysis company Verisk Maplecroft. 113 million people in the country are vulnerable to dangerous levels of flooding. More than 300 million are vulnerable to drought and more than 700 million to extreme local storms. Climate change will only accelerate in the years to come as global emissions continue to rise. There is some hope that economies are gradually transforming to reduce dependence on fossil fuels. Recently, 193 countries signed the most ambitious climate agreement of all time. The plan isn’t perfect by any means. A lot more has to be sacrificed and committed by countries. But the passage of COP21 marks the first time any actually binding agreement on climate has been globally ratified and it shows that world leaders are finally feeling the heat of environmental activists. 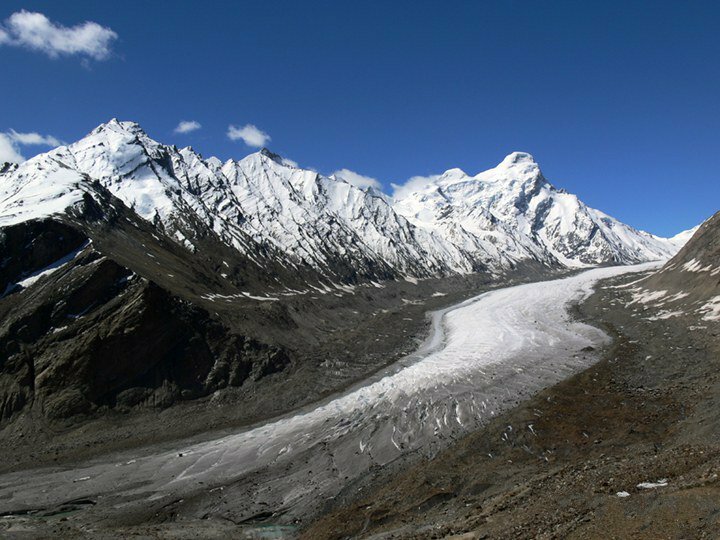 As India’s Himalayan glaciers are explored in greater detail, the risks will be more apparent and the heat on leaders to act will only become more extreme.